BlogBox from Shape5 uses great functionality to publish content for authors, bloggers and publishers. BlogBox focuses mainly on large article areas to present your content in an easy to read and aesthetically pleasing way. 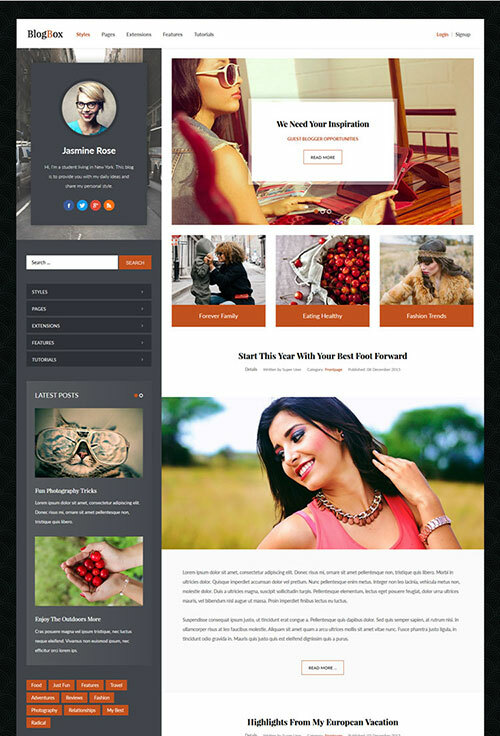 At Shape 5 you will find the best professional Joomla Templates for your site. With over 220,000 members and dozens of Joomla Templates and Joomla Extensions Shape 5 is one of the biggest and most experienced Joomla Template Clubs around! Shape 5 has the experience you can trust.